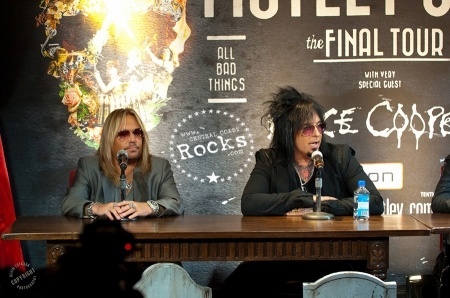 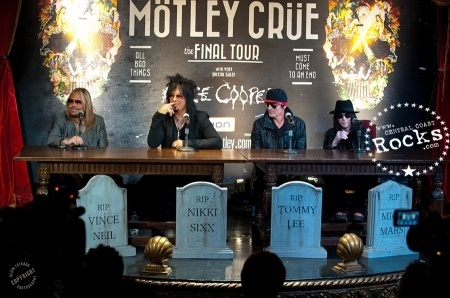 Los Angeles, CA (January 28, 2014) – After more than three decades together, iconic rock ‘n roll band MÖTLEY CRÜE announced today their Final Tour and the band’s ultimate retirement. 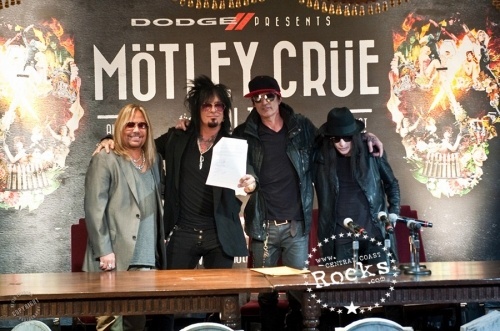 The announcement was solidified when the band signed a formal Cessation Of Touring Agreement, effective at the end of 2015, in front of global media in Los Angeles today. 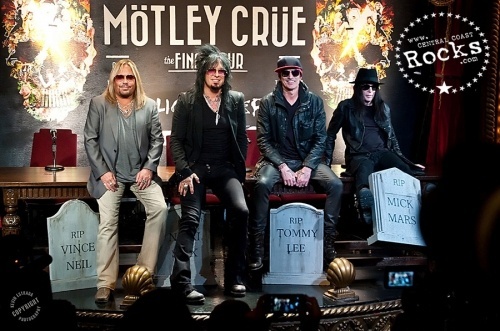 Celebrating the announcement of this Final Tour, the band will perform on ABC’s Jimmy Kimmel Live TONIGHT and will appear on CBS This Morning TOMORROW MORNING. 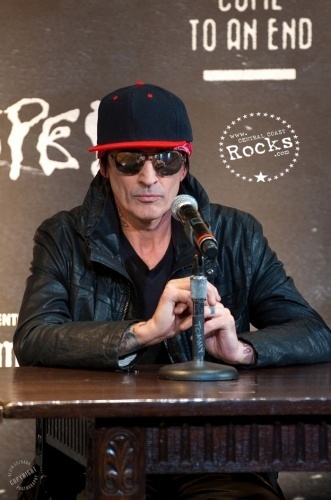 About Live Nation Entertainment Live Nation Entertainment (NYSE: LYV) is the world’s leading live entertainment company comprised of four market leaders: Ticketmaster, Live Nation Concerts, Artist Nation Management and Live Nation Media/Sponsorship. 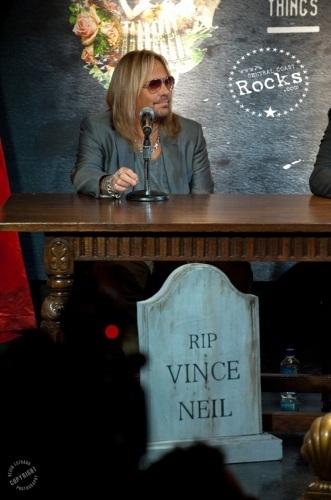 For additional information, visit www.livenation.com/investors. 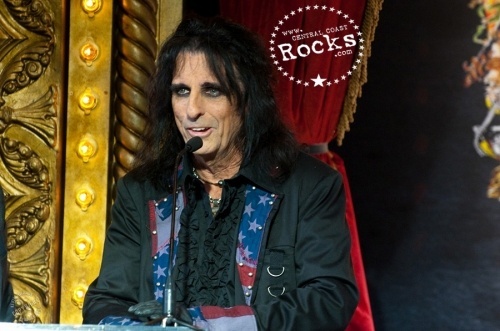 Alice Cooper is a true rock icon, having pioneered the use of theatrics and shocking images onstage in concerts from the earliest days of the original band of the same name. 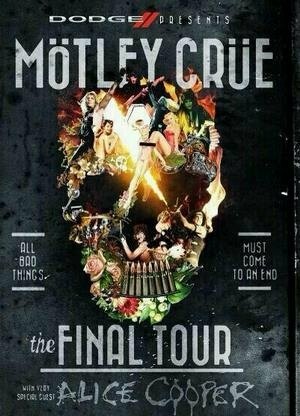 Since going solo, he has continued to produce elaborate stage shows providing fans with both shock and rock of the highest caliber. 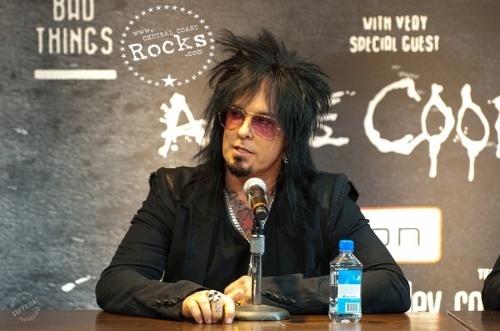 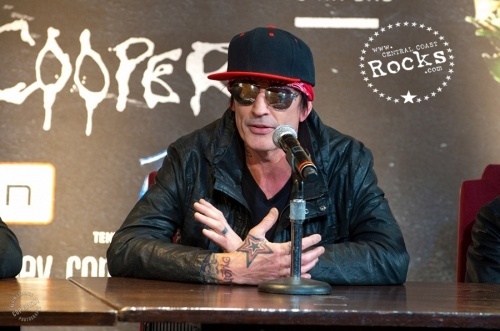 Inducted into the Rock N Roll Hall of Fame in 2011, Alice has toured and recorded continuously, with his most recent album beingWelcome 2 My Nightmare through UMe. 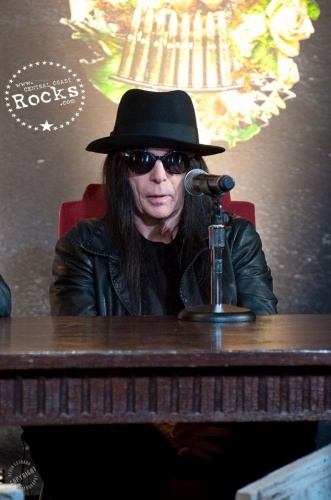 Recorded with longtime collaborator Bob Ezrin, who produced the original ground breaking, multi-platinumWelcome To My Nightmare album in 1975. 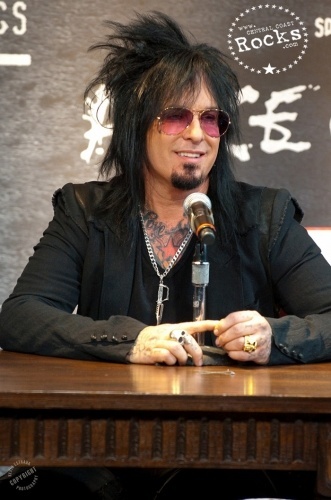 Alice’s lengthy catalog of hits and anthems include “I’m Eighteen,” “No More Mr Nice Guy,” School’s Out,”"Billion Dollar Babies,” “Elected,” and”Poison.” Currently, Alice’s touring band features the three guitar attack of Orianthi, Tommy Henriksen and Ryan Roxie, backed by bassist Chuck Garric and drummer Glen Sobel. 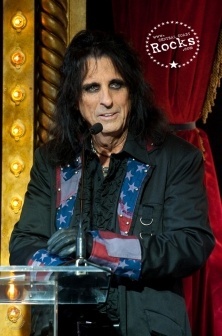 “Nights With Alice Cooper,” Alice’s nightly radio show, is available in nearly 100 cities in the USA, Canada, Australia, and the UK. 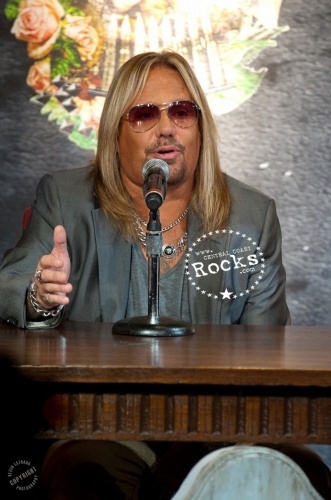 The show features his favorite classic rock songs along with his insider anecdotes about many of the artists. Additionally, 2014 will see the release of “Super Duper Alice Cooper,” a documentary film on Alice’s career path and journey through life, from Banger Films,the same team that produced recent award-winning documentaries on Rush and Iron Maiden.